Sensible Systems: ZERO dBA ... but why? This build was a bit of a weird one. The goal was a totally silent system that could still give good gaming performance at 1080p. Why bother striving for silence, you might ask... Fair question. With quiet case fans, a quality air-cooler for the CPU, and a custom graphics card (a Strix, for instance) there's no way a system is being heard over the sounds of your favorite game. There's no difference in terms of subjective experience between "so quiet you can't hear it" and "silent". But the point of this system was to see just how cool (pun intended, sorry) these newer, highly-efficient CPU and GPU architectures are, and how much performance it's possible to get while staying totally silent. Mostly it was a pet project for me :-) I might even keep this one! I chose this case because it let me top-mount my passive PSU, venting up and out of the case, which kept its waste heat out of the system. This case also mounts the graphics card vertically, which is the best orientation for the passive GPU I was using. And, it has good ventilation - full front mesh plus large side and top vents - so there is scope for some convective airflow around the GPU and also the passive CPU cooler I got for the low-TDP CPU. Lastly, storage here is a single large-ish SSD, chosen for its good GB/$ ratio and also, obviously, the fact that it don't make no noise! I actually built this system three times in one night :-( The first time, I didn't bother bread-boarding, since all parts bar RAM were brand new. There is simply no way to trouble-shoot in this little box, so I pulled the whole thing apart and bread-boarded, like I should have done right at the start. A quick run-through of the process might help anyone ever facing a failure to POST. The second time, I just got everything installed willy-nilly, then powered on. POST, yay! Then it was time for the third build, where I bothered with cable management again. (There is no way to do that at the end in this case - you must cable-manage as you go.) Happily, it worked after that too. For just general pottering around, temps are totally fine. That's to be expected, since the i3-6100T is well within the TDP envelope for the Arctic Alpine 11. Under stress-test loads (Cinebench, 3DMark's Physics test) the CPU gets up to ~70*C, which is also totally fine, and nowhere near throttling. Performance is very decent too. The i3-6100T only trails the G4560 by 8%, due to slightly slower clockspeed, and while the G4560 is the better pure price-to-performance buy, with its 47W TDP passively cooling it requires a bigger and more expensive hunk of metal. The i3-6100T was the sweet spot for price, performance, and passive cool-ability (totally a word!) for this system. 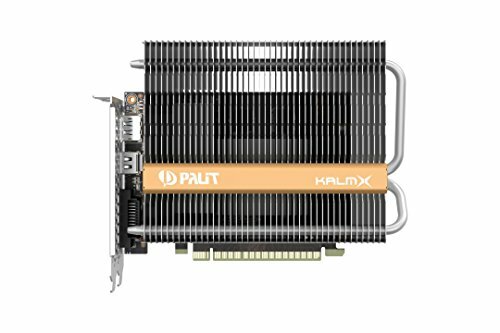 The graphics card - Palit's KalmX GTX 1050 Ti - has been on my drool list for a while now. I finally got to use it in this build, and I gave it a tough job: work in an ITX case with no active cooling. Temperatures and performance were very interesting indeed. Check the pics/graphs for full details, but the short version is this: under full load, the card eventually hits Nvidia's default throttle temp of 83*C and the core clock stabilizes at ~1300MHz. In this respect, it's sort of like an FE card: it runs hot, but not cripplingly so, and OC'ing headroom is very limited. That's fine, in my view, provided it can handle the intended use case, and it can: this card will handle 1080p gaming just fine, and in total silence. So, overall, considering the various trade-offs involved, I am extremely happy with this card. It's not even wildly overpriced, either, falling about in the middle of the 1050 Ti price range. As always, please comment or question below - I really appreciate feedback - and feel free to look me up on Facebook where I'm Sensible Systems. Great budget build. You nailed the PC parts! Sweet mini quiet build. That cooler looks like a pain to install though. Great build! Have you tried undervolting your graphics card? You could gain a few hundred MHz before you reach throttle temp. An excellent suggestion my friend! I actually spent hours on this, and have posted a description of the process and results here, if you're interested in checking it out. Thanks for sharing with us. Glad to have access to folks like you, with a heart to share your work, knowledge, and enthusiasm. Feeling inspired both by your build and sharing. Have a great holiday season. Very welcome! I love being able to post my stuff here and get folks' thoughts on it. Such a good community at PCPP :-) Happy holidays to you too! A very interesting build. I thought about using the same chassis for another build I'm planning, but after using its bigger brother (Elite 120) for my first build I decided against it --it was a real pain in the ***. Ha, yep, pain in the *** is right I reckon! I've got plans myself for a Node 202 build sometime down the line. What case did you end up deciding on for your planned build? I went with the Phanteks Evolv. Great cable management and a smaller footprint. Love this idea and execution. I want to do this for a PC designed to record soft music like acoustic guitar. I did a build for music production for someone a while ago, using an R5 1600, which works well for that job, and I'm sure that CPU could be passively cooled with a bigger hunk of metal like a Thermalright Macho Zero (it has a 65W TDP, so a bit much for the Alpine 11). @Sensible_Systems: This is a magnificent build, well done! It has steered me away from a J3160 silent build in the Elite110 now that I know it can take something much more powerful and silent at the same time. How hard was it dealing with the Arctic cooler block? PCPP gives this message when I combine them: "ARCTIC - Alpine 11 - Passive Fanless CPU Cooler and Cooler Master - Elite 110 Mini ITX Tower Case are not compatible." How did the ram fit - seems tight. 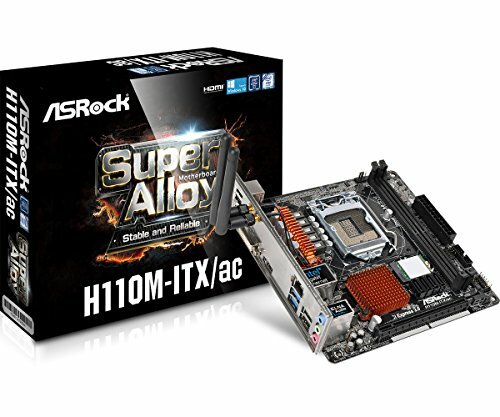 Also, ASRock's site doesn't have any combatibility lists for RAM for this mobo, you had no issues I assume? I was actually considering using the 7100t or the 7700t even but the mobo won't support this without a BIOS update. Perhaps it isn't worth it. Did you see any CPU bottlenecks in this build with the 1050 ti? Hey, thank you very much, glad to hear this build has been some use to you in planning your own. The Arctic cooler is definitely compatible with the Elite 110 case. There is not a lot of clearance between it and the PSU casing, but there is enough, and they're not touching or even close to it. Mounting that cooler is a bit of a pain though. The screws have to come up through the bottom of the motherboard and getting them lined up with the holes in the block itself is fiddly. I found putting the block upside down on the table then flipping the board over onto it worked best. About the RAM, no, no issues. I admit I didn't check the QVL for this build, simply assumed, but the RAM is just 2133MHz stuff that should work without issue in any 100-series chipset board that takes DDR4. The physical fit was very tight though, as you suspected, even with these fairly slim sticks. Anything with a chunkier heat-spreader would be a problem. I'd maybe suggest using bare green-stick RAM if you can, just so there's zero contact with the cooler and no pressure at all on that inner-most DIMM slot. Using an i3-7100T or i7-7700T would be fine. I eventually swapped out the i3-6100T in this build for an i7-6700T, and the cooler was plenty for that CPU too. Depending on what sort of stuff you're doing with the system, you may or may not see a benefit from the CPU upgrade (i3 -> i7), but don't worry about the cooler being able to manage: it'll be fine. If you think the i7 would be worth it for you, one thing to check is the manufacturer's support page for whichever motherboard you plan to use. That will list the date of each BIOS revision, and you can check when support for Kaby Lake was added. If that was long enough ago, new boards may well ship with the necessary BIOS already there. But yeah, there's a bit of a gamble involved there, and having a Plan B is a good idea: maybe a local PC shop that can do the update for you for a small fee? I didn't see any CPU bottlenecks with the 1050 Ti, no. From what I gather, based on excellent benchmarking by Gamer's Nexus and Hardware Unboxed, the Skylake and Kaby Lake i3's (and the hyper-threaded Kaby Lake Pentiums like the G4560) should all get the most out of any card up to about a GTX 1060 6GB. Only above that will those CPUs start to restrict GPU performance. OK, hope all this helps - thanks again for the comment and compliment :-) Cheers! Oh, wow, what a wealth of information! This is fantastic stuff, thank you so much. 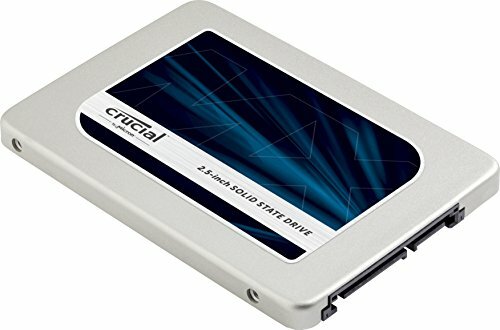 I'm considering a one of the higher performing 35w cpus with the same setup and 16gb ram. It gets very hot here in the summers so I don't want to kill this I've already got a low rpm 140mm front fan to setup to run when temps get high but I'd like it to run fanless 90% of the time. I figure from what you said the mobo bios is probably the top concern and heatsink clearance on the mobo / ram. Thanks again so much, this is a really unique build being that it is small, fanless, and with great performance & graphics - Kudos! Great build, I've been looking for some inspiration for a passively-cooled PC that doesn't require some crazy (and expensive) case. This is a borderline gimmick build with just how weird it is. But it’s fascinating to see how much you can do with passive cooling. Great job man! Aha, thank you! I couldn't find the cooler listed when I did my parts list, hence adding it as a custom item, so appreciate you providing the link, and yes: support PCPP! This is the first build like this that I've done. I think the CPU will be absolutely fine in terms of heat and longevity. At stock, the same is true of the GPU, since it's really no worse than a Founder's Edition or any other blower-style card in terms of temps. I worked out a custom profile for the card that has an over-clock, an under-volt, and an increased temp limit... with all that going on, it performs better but runs a lot hotter, up to 95C, which is just a bit below Nvidia's stated safe max of 97C. I got the cooler off US Amazon, but it's also available a few other places, including direct from Arctic via their website. Thanks again for the comment and the support!